Same day slideshows may seem like old news or an oversaturated idea to many photographers, but Luke & Ashley believe this is one of the best ways to market your business on wedding days. All it takes is a little extra prep, and a quick dinner, to allow you to surprise and delight your couples (and their guests) on their wedding day. If it still seems overwhelming or you're a solo-shooter, they've got some great tips for you, too, to wow your couples! They bought a water business right after they left the military, it failed within a year and needed to find a way to get out of debt while they were pregnant with their 3rd child. They paid off $86k in debt with their photography business in 2015! They mainly shoot weddings, but are working with some small businesses on branding and content. At one point they were doing both photography and videography for weddings, but realized they needed 2 perspectives for each medium. Instead of spending the money and hiring two second shooters, they decided to save the money for their debt and focus just on photography. When Luke & Ashley first started using same day slideshows, it was a newer buzz term in the industry and knew they needed to take advantage of it for extra client experience. It creates a wow-factor for the bride, groom and their guests. Bonus: is a great marketing tool as well! They do recommend putting your information out there with it at some point, but they don’t currently have an ‘end slide’ of info on the slideshow. Using same day slideshows also build trust with the clients and sends the couple off on their honeymoon knowing they made the right choice with their photographers. The couples don’t know about the slideshow. Luke & Ashley create it and then put it in a place that can be seen, like the bar. They show the moms and maybe a few maids, but let word-of-mouth spread it to the couple. Waiting for the reveal and the build up is one of Luke & Ashley’s favorite moments at the wedding. The slideshow is something they plan for at most weddings, unless they already know there will be a time crunch or no first look. As Ashley is finishing up photos of the bridal party, Luke scouts out a place at the reception to put up their TV. Knowing your timeline and educating your couples on how and why you like to work is one of Luke & Ashley’s key tips for making sure you have the time to do this. During dinner, Ashley imports about 100 images from the cards and does a quick edit on them (nothing too detailed!). They put them on a USB drive that plugs directly into the TV and begins to play! Luke & Ashley use Lightroom to deselect/select the photos and do the editing. The entire process, uninterrupted, takes about 25-30 minutes. They recommend choosing photos that show emotion and represent the couple at their best. Also, either have presets in Lightroom or choose photos that you know won’t need a lot of editing. They decided to use a TV because it allows them to set it up and leave it alone. You can use an ipad or a laptop, but you may find yourself worried about it all night long. Take a USB drive to BestBuy and test out the different TVs to see which one you like best! Luke & Ashley use their slideshow to reassure the moms that they made the right choice in hiring them. The couples already know how well Luke & Ashley work because of their engagement sessions, but showing the mothers the slideshow reveal is a highlight of the day. It is always an added delight (even their photographer bride loved it!). It may seem like an old idea to you, but to your clients, it may be a whole new concept that keeps you top of mind for future clients. Don’t forget all of the photographers you follow on Instagram aren’t at this wedding. 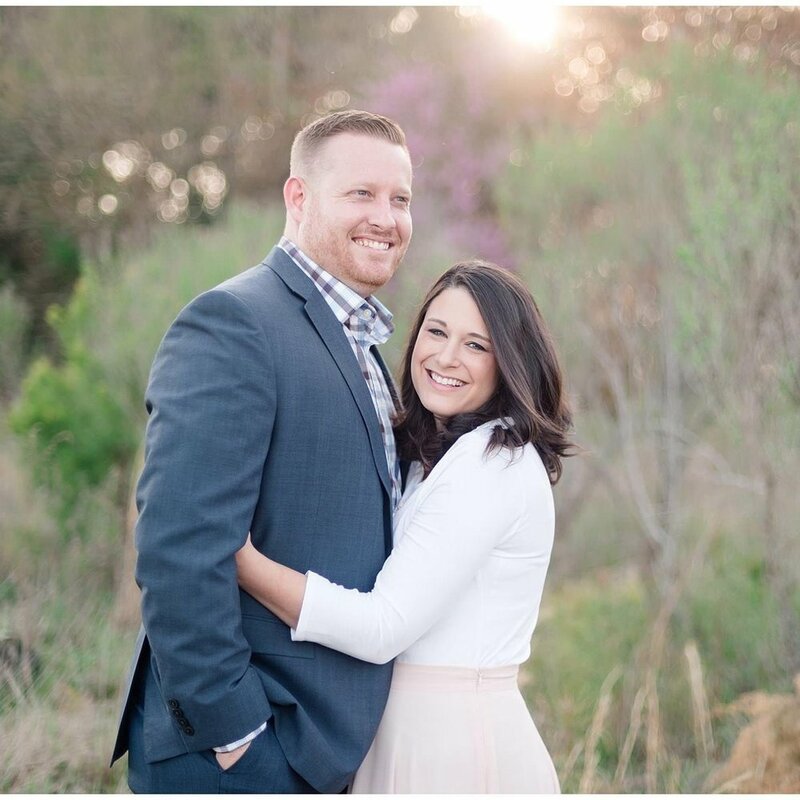 You are getting free marketing to 150-200 new people, and Luke & Ashley recommend using the whole day to serve your clients well and market your business along the way. Every photographer should have a dinner time built into the timeline. Again, this could be your biggest marketing tool that day, so going into the day with the intention of doing a slideshow will be your best guide to getting it done. There are definitely times when either dinner doesn’t happen or toasts are given during dinner, and your slideshow just doesn’t happen. Luke & Ashley want you to know that it is okay, but start the day with the intention to try. Luke encourages you to have the confidence to just try it. If you’re nervous about doing a full slideshow, start with airdropping a few photos to the couple and vendors so they can leave the wedding with something to share that night about you. Make sure you have all the equipment you need - a TV, laptop, card reader, laptop charger, and USB (grab Luke & Ashley’s guide here). Work with the coordinator to make sure you have a dinner/down time built in and you can even do a trial run at a wedding for everything up to actually using the TV. This will allow you to get comfortable working during a limited time and you’ll still have photos to share at the end of the night!